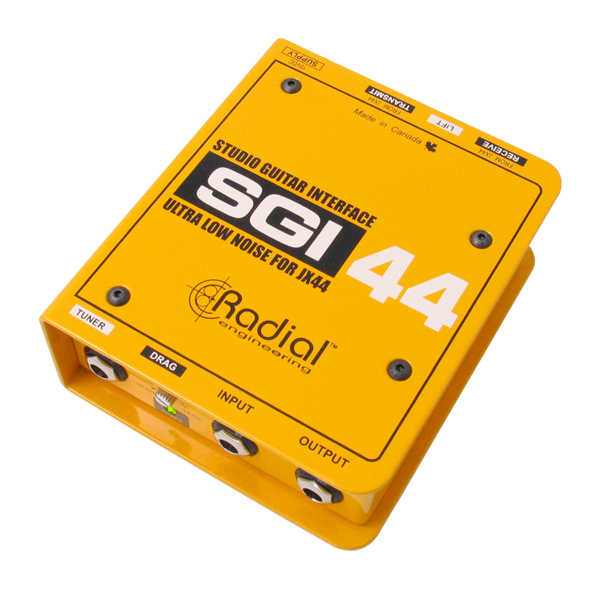 The Radial JX44 is a guitar signal manager and switcher designed for the most demanding professional concert stages where wireless guitar systems, acoustics, effects and multiple amplifiers are used simultaneously. 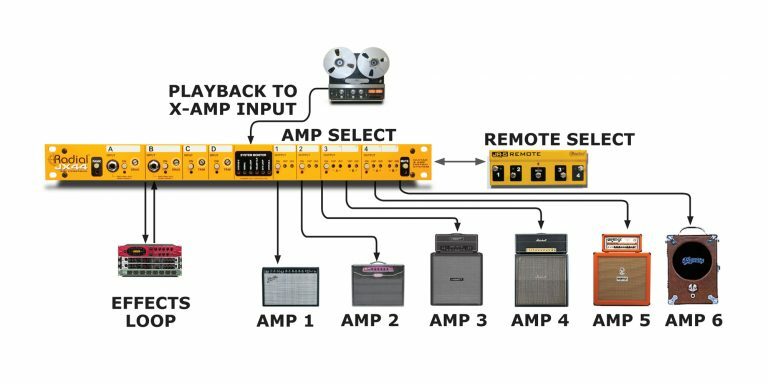 The JX44 is the most complete guitar and amp switching and routing system available for professional concert touring, providing you with the ability to connect and manage up to four guitars, six amplifiers, an effects chain and a remote pedalboard with seamless integration throughout. 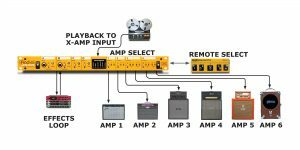 Optional JR-5 remote footswitches can be used to select the inputs and outputs individually or to program and recall scenes to activate multiple amplifiers with a single footswitch. 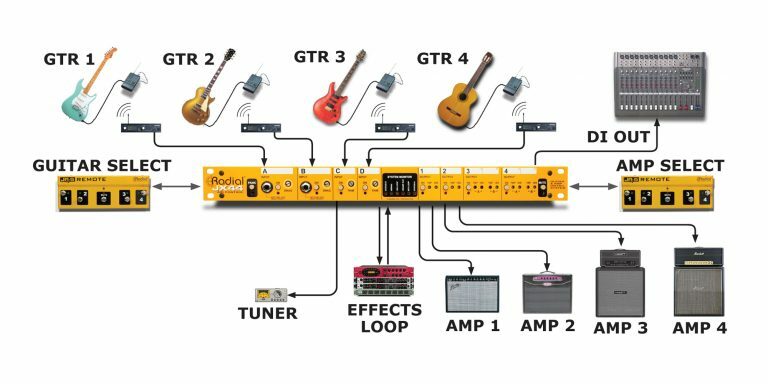 A local effects loop can be used to connect rackmount signal processors, and an SGI line driver is built-in to feed distant pedalboards with ease when used with the SGI-44 remote guitar interface. 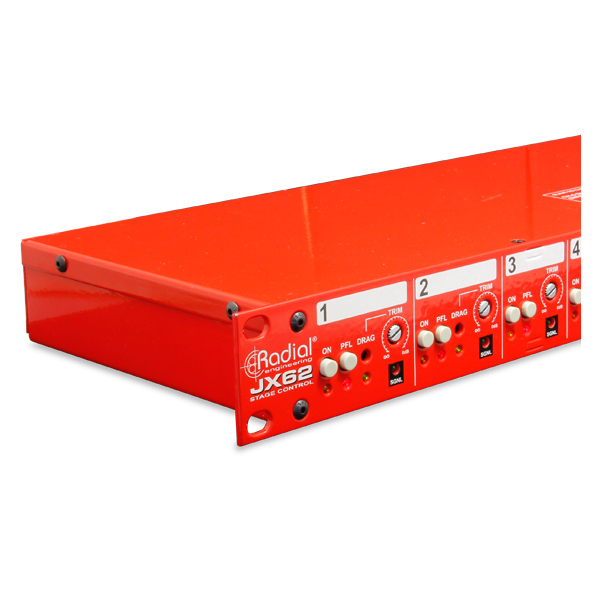 An assignable direct box output is also featured, and the JX44 can be used to reamp balanced line-level signals, with front panel status indicators to provide an easy systems check at a glance. 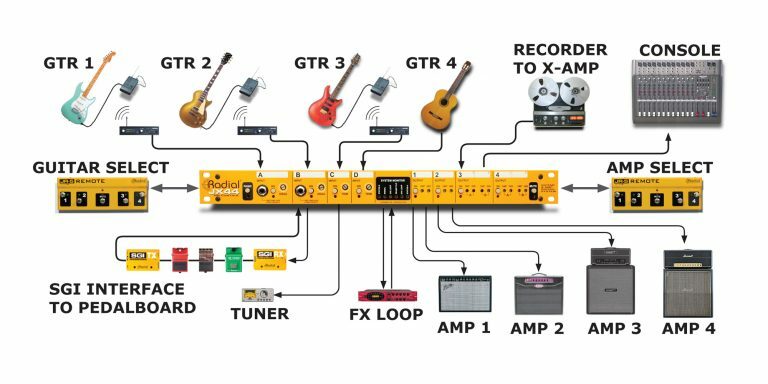 The Radial JX44 is command central for wireless guitars and a barrage of amplifiers. 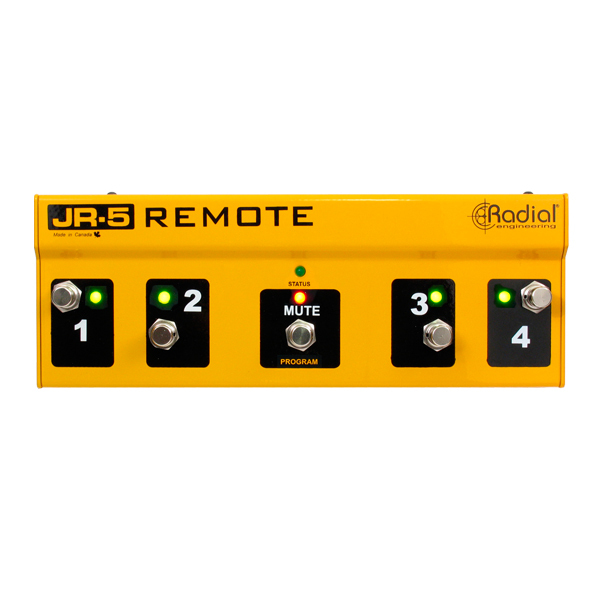 The JR5 remotely controls the amps or effects loops letting you set up various scenes for instant setup changes. 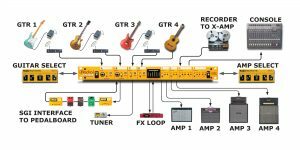 Use the JX44 to select between 4 instruments for quick changes between songs. Individual level controls on inputs 3 and 4 make it easy to balance the signals. 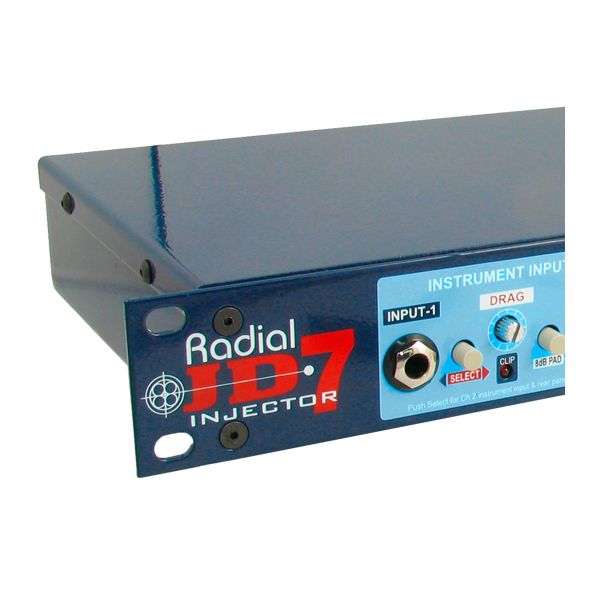 Use the built-in Radial DI to feed the PA system. The JX44's built in DI box is perfect for recording a clean track. 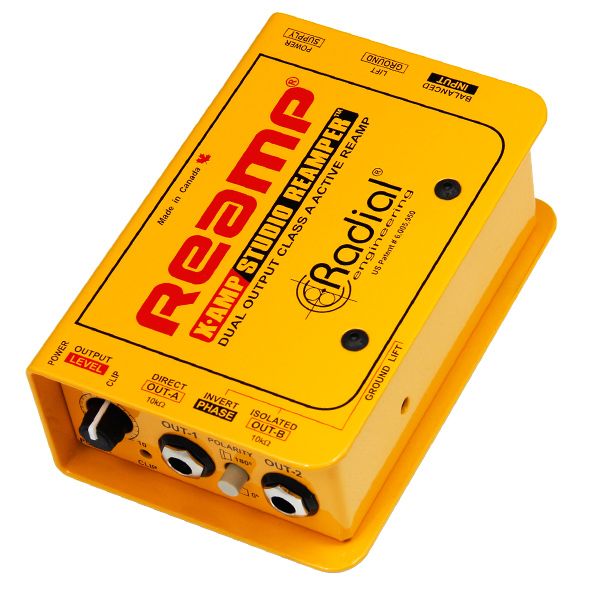 Send it back to the built in Reamp to feed up t six amps simultaneously. Add pedals and move mics to create the ultimate wall of sound. "The JX44 is an awesome tool for those who appreciate focusing on tone crafting, rather than gear shuffling." "The only items that come to mind that compare directly with the JX44 are a few custom units produced by rig builders. There are no commercially available products, to the best of our knowledge, that offer the combination of features that the JX44 provides."